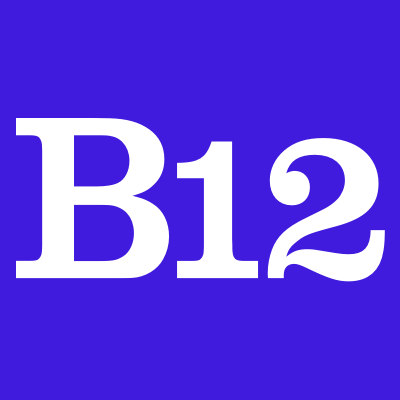 B12's engineering team views software as a craft, but improving the world as the reason to practice it. Our engineers are responsible for prioritizing, conceptualizing, co-designing, building, testing, & engaging users for any concept we are building out. Were generalists in encouraging each other to experience the full stack, but were also aware of each others preferences in the stack. We mentor & teach where we can, both inside & outside of the company. We value sharing our work with the outside world. Our team has published papers on forming expert flash teams & machine-mediated worker hierarchies. Weve baked our research into Orchestra, the system that coordinates our expert & machine teams, & released Orchestra into open source to contribute our software back to the community. We store blobs in Amazons S3, munch on them in Amazons EC2, develop in Docker, & deploy containers to Amazons Elastic Beanstalk. We believe Postgres should be the first system you consider when you think about persisting structured data. We have near-full test coverage on the backend, are increasingly pleased with our frontend tests, & embarrassed about our integration tests. We set up continuous integration & deployment because, while this model comes with its own pains, weve disliked being on fixed release schedules on previous projects. We like to move fast & support point-in-time recovery :). You have between 1 & 4 years of experience building products & systems in production.This is not en entry-level role, nor is it a more senior position. You feel comfortable managing your time & deciding amongst competing priorities. You are passionate about the future of work. You enjoy learning & teaching. You have some mobile experience. We highly favor talent & interest over years of experience. A pointer to your CV, resume, LinkedIn profile, or any other summary of your career so far. Some informal text introducing yourself & what you are excited about. If you have a profile on websites like GitHub or other repositories of open source software, you can provide that as well. If you dont have one, its still very possible for us to get along just fine!